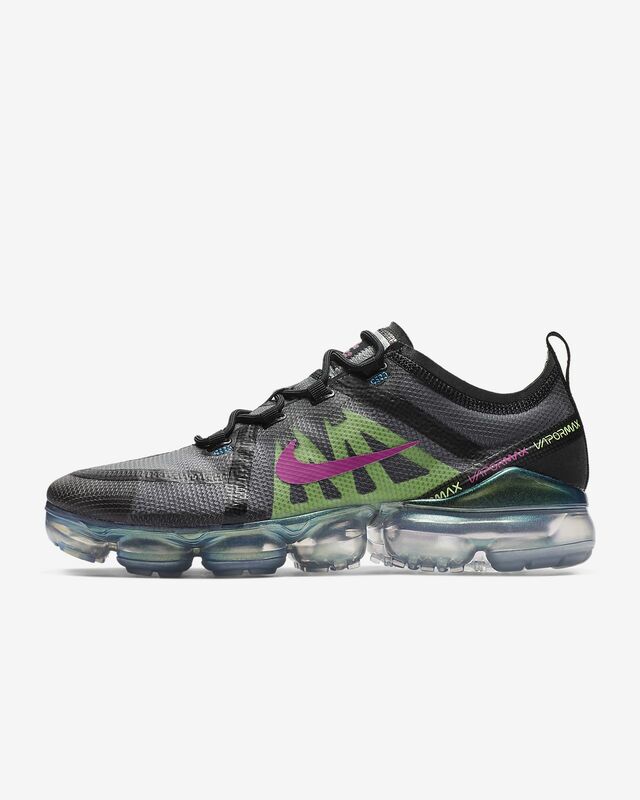 The Nike Air VaporMax 2019 Premium wraps your foot in a stretch-woven material that gives structure and support to your stride. 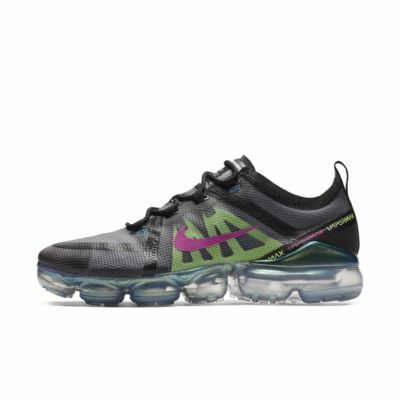 Underfoot, the lightest, most flexible Air Max cushioning to date gives a super bouncy sensation that rivals running on air. Stretch woven material adds lightweight structure. Sorry Nike, this is not working. This shoe must have been tested or trialed by someone who has a rabbit shaped foot, as it is way too snug and tight in mid-sole, the shoe is very uncomfortable even with socks on and even if you tighten laces on top it still doesn't remain snug around ankle. Uncomfortable to walk/train in.